DevOps, in spite of gaining immense popularity, somewhere in the corner, lacks automation, while creating the new application environment is concerned. As a result developers are using pocket-friendly, but less integrated DevOps tools. DevOps is mainly connected with the cutting edge ventures. Acing DevOps isn’t just about enhancing the cooler technologies quicker; it’s is about building the capacities to perform the present day application. Survey was conducted over multiple team users revealing, they have to confront many challenges in tool standardization and streamlining few tool factors such as end-to-end orchestration, manual intercession, inconsistent environments, and many more. Above all, realizing such a progressive change in the working environment isn’t simple. 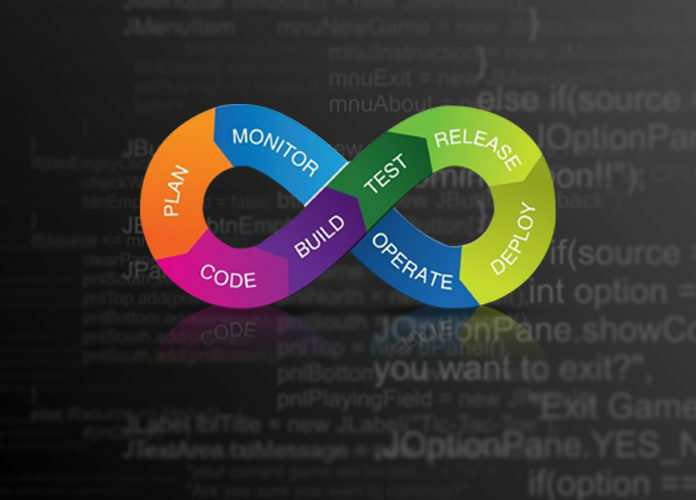 DevOps is looked with various challenges which need to overcome before it turns into the new work culture of the era. Recorded below are some of the central issues and challenges which should be managed when attempting ‘DevOps’ in an organization. Time heals everything. Person changes with time. The older foundation and applications that have served the organization for quite a long time, can’t be utilized forever. Flourishing the legacy infrastructure will give you the desired results. To keep the position secure in the race, you should keep your organization and the employes updated with the latest innovation and programming techniques. Older frameworks should be replaced with the new ones. Putting in new frameworks to fit in and co-exist together with the effectively existing frameworks can turn out to be a biggest challenge. On account of diverse objectives and working frameworks, the DevOps divisions have different tool sets and measurements. It can be confusing to work together with two different teams, therefore, it is vital for both the teams to sit together and incorporate their tools and their working strategy. They ought to agree on single uniform metrics. During the implementation of DevOps, the area that undergoes maximum transformation is the workplace culture, and is refereed as one of the most difficult areas of transformation. During the execution of DevOps, the place which experiences the most extreme transformation is the work environment culture. This is likewise one of the most difficult area of transformation, where the place slowly becomes ingrained within the workers. It is a long term process that requires a considerable measure of tolerance and continuance, organization should construct a community oriented culture. The pioneers should attempt to keep up a straightforward and positive attitude in the working environment. Numerous specialists in the organizations will be unwilling to take part with the legacy frameworks. They become friendly by their way of working and they don’t want to come out of their comfort zone. Numerous representatives may lean toward working in cabin and might not have any interest to co-ordinate with different team members. This can prompt to internal disturbance within the organization. Anyway, do we twist down to such people and abandon improving the association? No way! Refusing to develop and apt to the changing circumstances will make the organization mechanically inferior resulting in the slow progress rate. It is smarter to tolerate the discomfort rather than lagging behind in the competition. While embracing the practices of DevOps, one is truly enticed by the various tools accessible, they gradually rely on these tools to solve even the small issues. Due to their eye catchy features, many organization tragically choose tools that have short term benefit rather than long term. These tools becomes center of life for many organizations. Some of these devices are open-source, or based on SaaS, so that the user begin with the application after a snappy trial, these tools can be effortlessly embraced with no supervision from the experts, which can be a big blunder for the company. Consequently, team should be given the preferable option which they can pick their favored device. This will result in the employee satisfaction along with the manager’s track. Change is hard to start. In this cutting edge competitive world if the organization fails at the upcoming innovation and creativity, at some point sooner or later, it will be replaced by something better. Therefore, the progress and the change may seem unappealing at the beginning but it can benefit your organization in the long run. DevOps, which is getting mainstreamed, speaks as a significant step in bridging the boundaries between the business, operations, and development. The difficulties associations look with DevOps are many, however the challenges are very well understood, you just need to apply the principles to resolve them. Previous articleSEO metrics – All about SEO performance and its Tracking. Next articleImplying IoT Benefits for Digital Strategy in The Industrial Age.